Does July 9 really stand for something worth celebrating? This July 9, most Nunavut residents will mark the arrival of yet another Nunavut Day. Who knows? Some people might actually want to celebrate it. It’s a great time to mingle with old friends and relatives and bond with your neighbours. In Iqaluit, the crowds will likely gather near the territory’s most expensive smoke-break station to pretend they’re interested in the eye-glazing speeches while they wait to enjoy the free food and the free music. But does July 9 really stand for something worth celebrating? Sixteen years after the creation of the new territory, the answer is no. On the territorial issues that matter — health care, education, justice and municipal affairs — its failures are worse than even the new territory’s strongest detractors could have predicted prior to April 1, 1999. And Nunavut’s most vulnerable people continue to pay the price. Take health care, for example. The sad and unnecessary death of Baby Makibi in Cape Dorset in April 2012 was bad enough. But its sordid aftermath — credible allegations pointing to the harassment of whistle-blowers, the protection of incompetents, and contradictory and possibly self-serving information given to the family — exemplifies everything that is toxic and third-rate about the quality of public services in Nunavut. The Cape Dorset scandal has produced allegations that suggest that for far too many Government of Nunavut officials, the preservation of career takes precedence over the wellbeing of the population. In a functional society, this baby’s family, and the public, would see their questions answered within a public and transparent truth-telling process. That means either a public inquest or a civil trial, in which documents could be subpoenaed and witnesses could be compelled to state under oath what they know. Instead, we have a review done by an external investigator who does not have the power to compel evidence from anyone. Katherine Peterson is a respected, experienced lawyer with a solid track record. There is no reason to doubt she will approach her work with anything other than good faith and competence. But given the emergence of two conflicting pathologist’s reports, even the cause of the baby’s death is now in dispute. With all due respect to Peterson, the resolution of these and other disputed facts cries out for a truth-seeking exercise with legal teeth. So it’s conceivable that, despite her best efforts, the clouds of suspicion that hang over this case may never be lifted. Let’s not forget this: the Inuit of Nunavut surrendered their aboriginal title in exchange for a promise to create the government that is responsible for this mess. 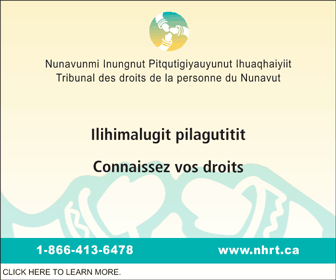 This case reminds us, however, that it is now Inuit who usually suffer most from that government’s dysfunction. In 2011, two other Nunavut babies died in Igloolik in questionable circumstances. Despite the best efforts of their MLA, there was no inquiry and no credible explanation for why they were not medevaced to a hospital. Nunavut residents everywhere complain about shoddy treatment at the hands of the health care system. That includes numerous cases of cancers that health workers fail to recognize. And yet individual patients continue to shoulder the blame. At the same time, when individual Inuit are pushed around by their government, there is no group, service or organization in Nunavut that seems willing or able to advocate on their behalf. 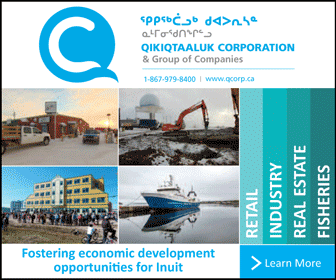 Organizations like Nunavut Tunngavik Inc. and the regional associations are quick to defend their institutional interests. 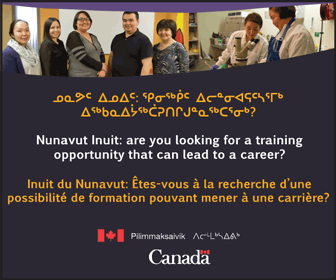 But when individual Inuit need an advocate, these well-funded organizations usually aren’t there for them. The key to achieving power, for individuals and collectivities alike, is education. Numerous political leaders, including those within the current government, never grow weary of repeating that truism. But Nunavut’s school system fails more people than it helps. Until that changes, the school system must be regarded as a barrier and not a gateway to a better life.